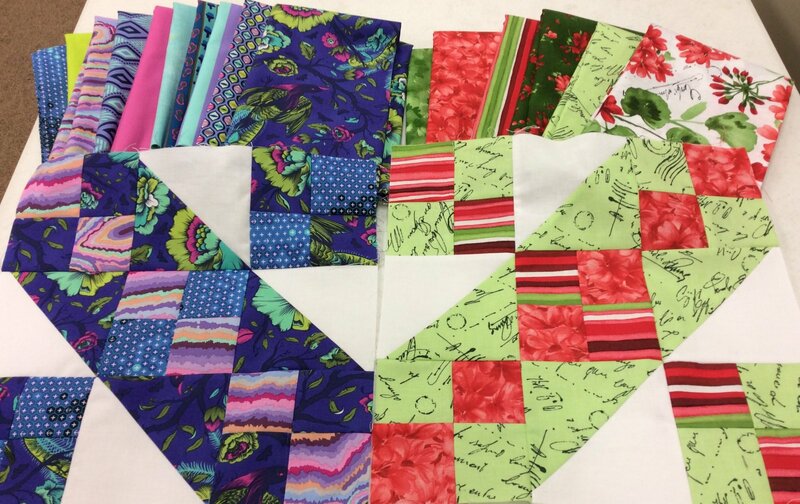 2019 Saturday Sampler, we have two colorways again, one is from the Maywood line "Chloe" (Red & Greens" and the other from Free Spirit, "Tula Pink fabrics" (Purple, pink & Lime)...Registration is $15, and your first block is $7.50 Yes! you may do both colorways. You will NOT pay a separate registration fee for your second block kit, just the kit fee of $7.50 each month.